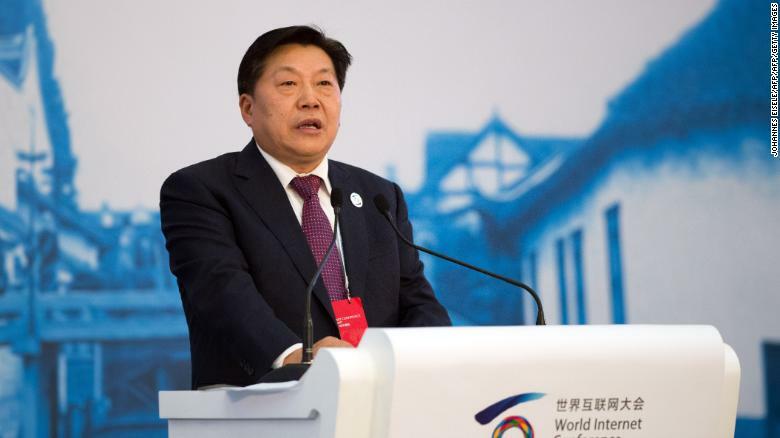 Former Chinese Minister of Cyberspace Affairs Administration, Lu Wei, speaks at the opening ceremony of the World Internet Conference in Wuzhen, in eastern China’s Zhejiang province on November 19, 2014. China has sentenced the country’s former internet czar and top censor to 14 years in prison, after he was found guilty of corruption, a court statement said Tuesday. Lu Wei, who once headed the country’s powerful cyberspace administration, had accepted bribes worth more than 32 million yuan ($4.8 million) from 2002 to 2017, according to the Ningbo Intermediate People’s Court in eastern China. Lu, 59, was charged in July 2018. He said he would not appeal the verdict. Lu’s sudden fall from power began two years earlier, in mid-2016, when he left his position at the Cyberspace Administration. At that time, some speculated Lu was destined for even higher office. Such was his perceived connection to Chinese President Xi Jinping, who consistently promoted Lu during earlier periods in his career. But it soon became apparent the censor had lost favor; an official corruption investigation was announced just weeks before the opening of the 2017 World Internet Conference, a gathering of China’s top government officials and industry leaders seen as his brainchild. He was dismissed from public office and expelled from the Communist party in February 2018. 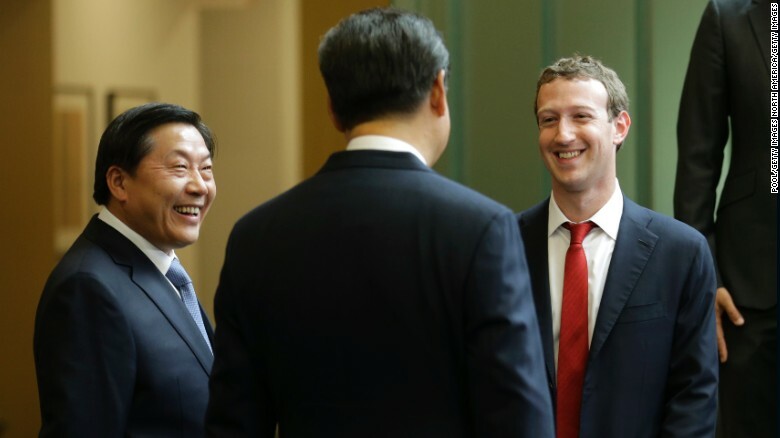 Chinese President Xi Jinping (middle) talks with Facebook Chief Executive Mark Zuckerberg (right) as Lu Wei, China’s Internet czar, looks on during a gathering of CEOs and other executives at the main campus of Microsoft Corp September 23, 2015 in Redmond, Washington. Short and stocky, with a wide smile and larger-than-life presence, Lu was born in 1960. He started his climb through the ranks of China’s propaganda and censorship apparatus at Xinhua, which he joined as a regional correspondent in the 1990s. By 2001, he was the news agency’s secretary general, and would become its vice president within three years. According to some reports, he was an ally of former Premier Wen Jiabao and responsible in part for crafting his man-of-the-people “Grandpa Wen” image. Leaked US state department cables from his time at Xinhua showed Lu arguing aggressively for Chinese “sovereignty” on media issues, something he would expand on as Xi’s internet tzar. After a brief stint overseeing propaganda and publicity for the Beijing government, Lu joined the state council in 2013 and later the newly created Cyberspace Administration of China. In these roles, he oversaw a crackdown on Weibo, the Chinese Twitter-like platform, reigning in powerful thought leaders and celebrities known as the “Big Vs” for their “verified” status. In a meeting with several leading commentators, Lu laid out “seven bottom lines” for Weibo posters to follow, including upholding socialist ideals. Those who refused, or later overstepped, were banned from the platform or even faced criminal prosecution. Lu took a similarly strident line with foreign internet companies, despite the best efforts of tech billionaires like Facebook’s Mark Zuckerberg to court him. Under Xi and Lu, China has advanced the “doctrine of cyberspace sovereignty,” a dramatic reimagining of how the internet works. Their plan would see the global, open internet turned into an overlapping collection of national internets, each with their own rules and tightly policed borders. This approach has attracted considerable support from other autocratic regimes. China’s top tech firms have gone on to sell foreign governments the tools for building their own firewalls, and top officials provided expertise. 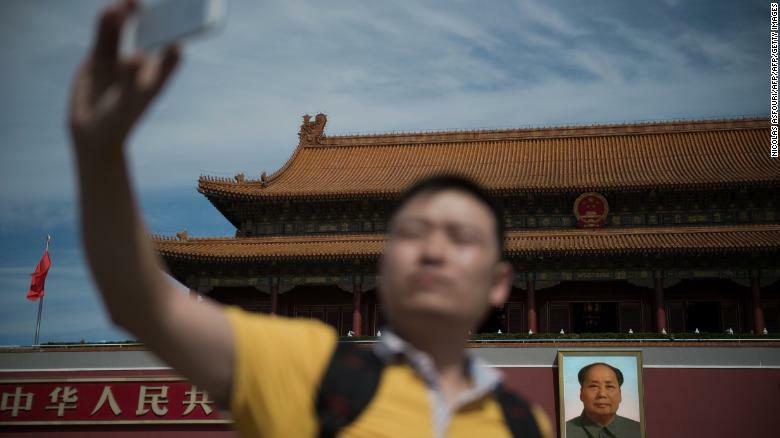 China has one of the world’s most tightly controlled internets, and has begun exporting its controls overseas. While much of what happens within the world of elite Chinese politics is a black box to those on the outside, what is clear is that Lu fell out of grace with Xi, potentially because he had built up a separate powerbase and was seen to be preparing for a future succession battle, when and if Xi himself steps down.